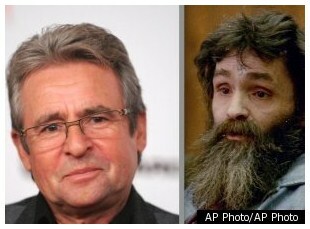 Monkees singer Davy Jones has died, but his music will live on with fans. The one about Charles Manson once auditioning for the cast of "The Monkees." It's a legend still being repeated in the various Jones tribute pieces and obituaries, but it is untrue: Manson was behind bars during the show's tryouts and, pushing 30, would have been too old to be cast. What is less known about the legend is its creator. According to Snopes.com, the alleged audition never occurred, but the website reported that the rumor's creator is unknown. In 1999, Jones confessed to FlashNews.com that he was the culprit. Sometime after the Tate-LaBianca Murders made Manson infamous, Jones jokingly told a reporter Manson was a "Monkees" candidate. 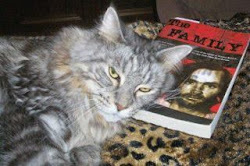 Apparently the story caught fire because it is up there with rock folklore like the notion that Jim Morrison is still alive, that Mama Cass choked on a ham sandwich and that there is a "27 club," whose members include Kurt Cobain, Amy Wineshouse and Janis Joplin. Jones told reporter Baird Jones that he had been reluctant to tell the truth for years because he feared it would just reinforce the false rumor. That's interesting! I didn't know Davy Jones started that rumor. 41 years ago today, April 19, 1971, Judge Older sentenced Manson, Krenwinkel, Atkins & Van Houten to death. Older gave the right sentence. The Supreme Court relealed the death penalty because they hated Nixon and Nixon said Manson was guilty so the justices were metaphorically spitting in nixon's face. The fact is that Nixon had no real connection to Manson whatsoever. Mr. P., Nixon should not have made that comment....but he did. Loose lips sink ships. I don't know why the Supreme Court abolished the death penalty. Too many pinko liberals I guess. The Manson Family inmates should have been excluded from that decision. That would have saved a lot of brain power. Charlie, et al, lucked out. Now they're trying like thirsty dogs in a kennel in Hades to get out. You know, it's funny if you look at it. Supposedly, Charlie yelled at Sadie that she put him back in prison (I doubt this really happened). But now Charlie won't even attend his own parole hearings. Speaks volumes to me about Charlie!! !